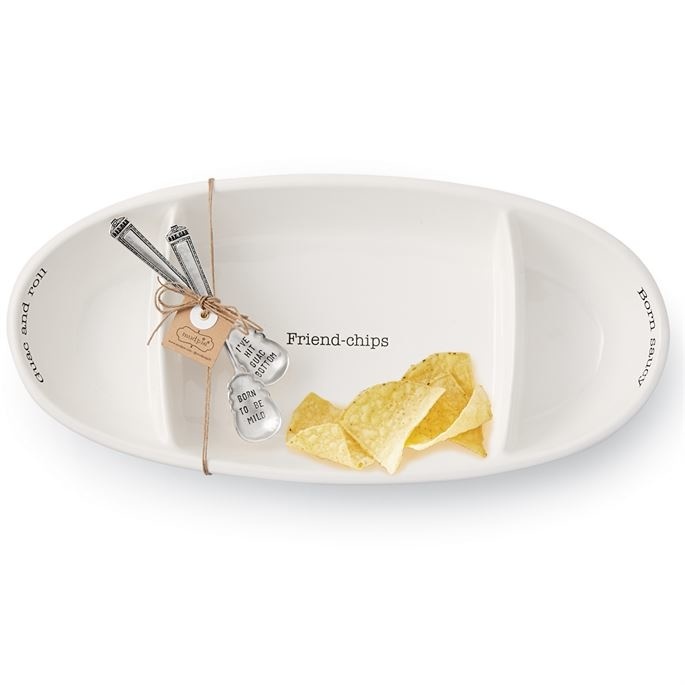 Three-sectioned ceramic serving platter features guacamole, salsa and chip serving wells with debossed sentiment detail. Arrives with two stamped silverplate serving spoons. 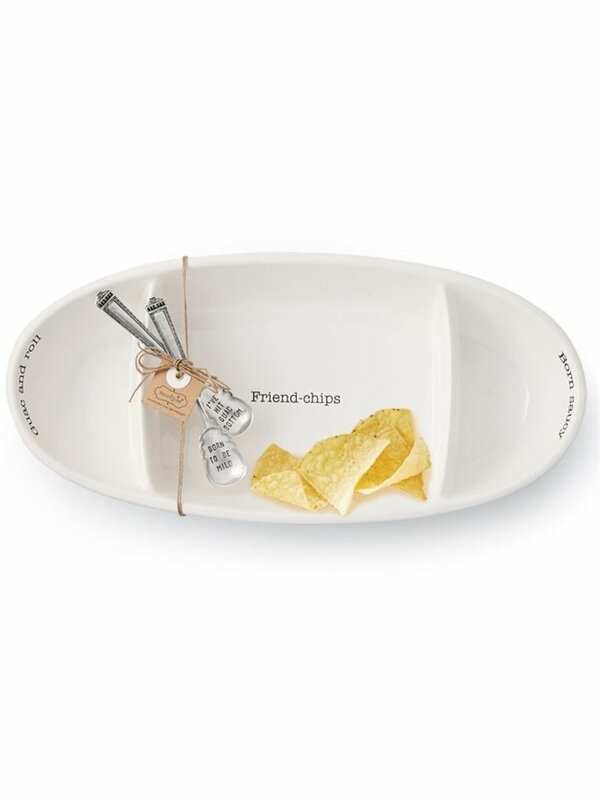 This cute skillet has the words "In queso emergency" in black debossed letters, and it comes with a metal silverplate serving spoon with the words JALAPENO BUSINESS. 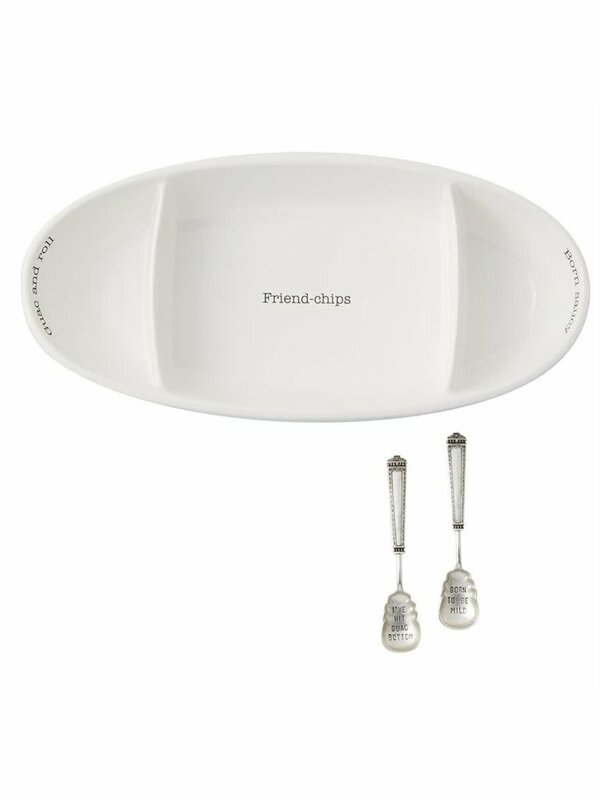 Get the fiesta started with the whimsical 2-Piece Guacamole Dip Set, featuring fun stamped or engraved sayings. 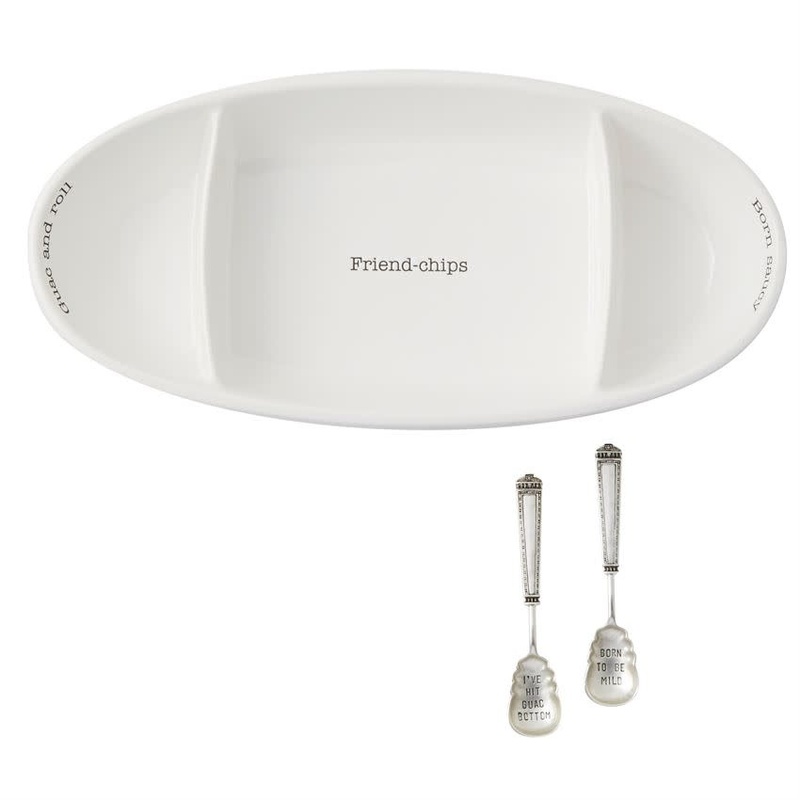 The set includes a ceramic dimple textured bowl and a silver plated spoon. Serve up more than just delicious delights with this SERVE IT UP and I'M SO DRAINED stamped silver-plate serving spoon, featuring a hammered handle and arriving on a display card perfect for gifting.